Looking northwest across the Cook Inlet from Anchorage. That's Beluga Mountain, headwaters of the mainstem of the Talachulitna River, a tributary of the Skwentna, Yentna, and Susitna. 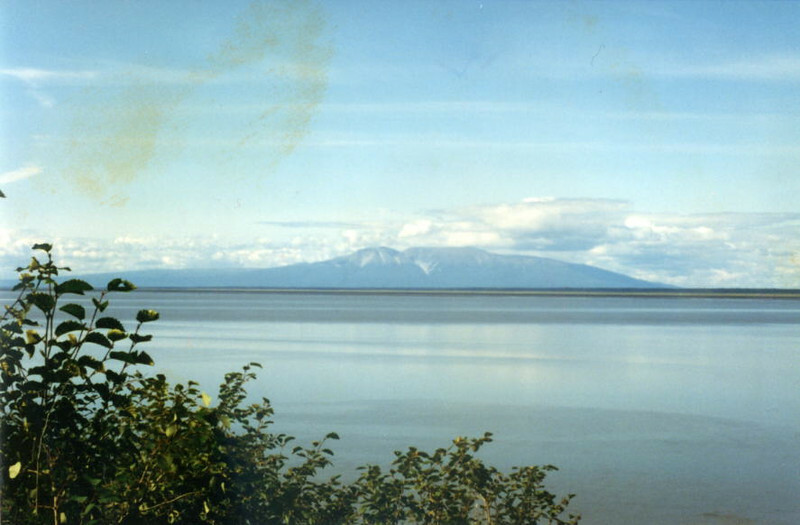 The Susitna flows into salt water, into the Cook Inlet, roughly where the camera is pointed.